Apple getting into the genomics biz? In March, I was thinking it’d be fun to do an April Fool’s Day post. Now perhaps my idea for an April Fool’s Day prank piece might not be so far off the mark from reality. Antonio Regalado just reported on rumors that Apple might be seriously considering getting into the genomics business. 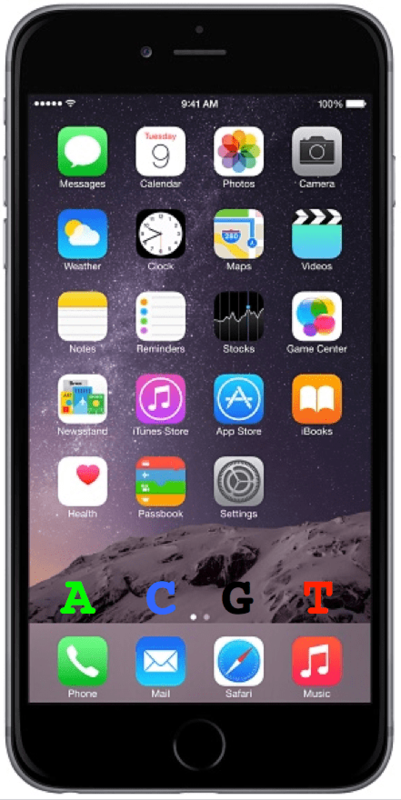 Apparently some kind of personal genomics analysis tool or app could come as part of the much-discussed ResearchKit. Then again this is just a rumor and even if true, the program could be killed or delay. This genomics program at Apple could be very exciting. With the advent of Oxford Nanopore DNA sequencing on a USB thumb drive kind of technology, it’s not difficult to imagine a future where computing and genomics join forces in a direct-to-consumer kind of way. At the same time, Apple could well find itself tangling with the FDA as its ResearchKit program evolves and especially if it dives into personal genomics given 23andMe’s experience. I expect there would in the future be a social media kind of platform for sharing one’s DNA data and interacting with others interested in doing the same, comparing data, etc. Apple, 23andMe, Ancestry.com, and others are likely to compete in this area. Of course issues such as privacy, genetic discrimination, etc. would come along with such developments. Hold onto your A’s, C’s, G’s, and T’s…along with your hat. Bioheart on the edge in 2015? Paul, do I understand this correctly? There is a prospect that one day we might be able to buy some sort of not-too-expensive nanopore DNA sequencing device? The beauty of this being that we could sequence our own DNA in private. The danger of this being that we can sneak a sample from anyone else and sequence their DNA… Or perhaps the GM people of the future will see this as being no different from taking a photograph? Well, we have cloths to give at least some protection from photographers — perhaps there is an honourable company (where?) that will invent some sort of DNA cloaking so we can similarly hide our DNA private parts?